Jamie Robinson has over 10 years’ experience in the Commercial Real Estate profession. As Property Manager, her primary focus is to provide clients the highest level of property management and leasing services possible through tenant, owner and vendor relations. 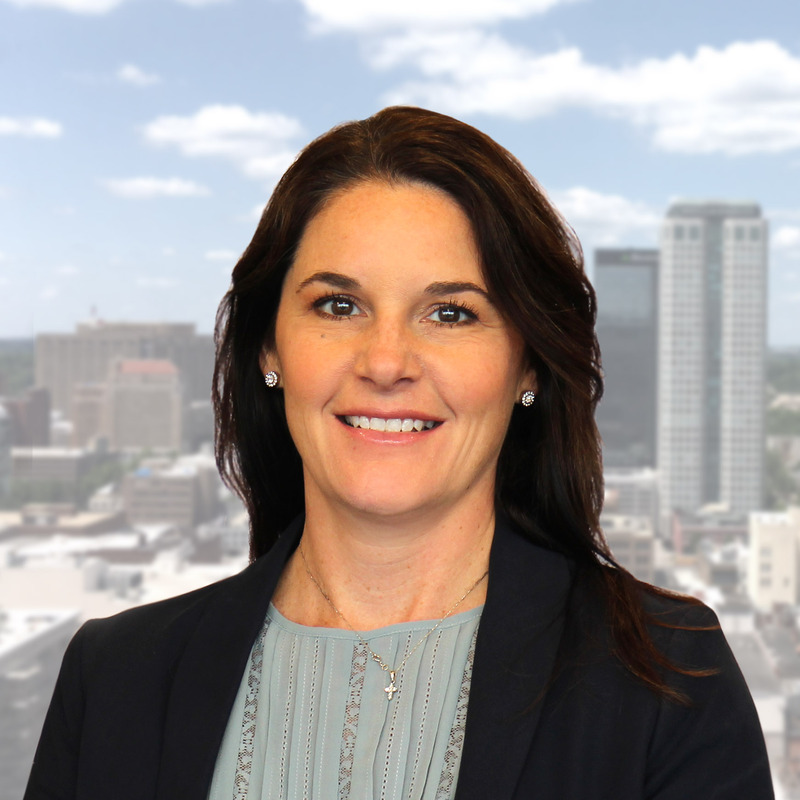 Before joining Harbert Realty Services, Inc., Mrs. Robinson led Daniel Corporation’s marketing efforts as Marketing Director for The Outlet Shops of Grand River, Birmingham’s leading outlet center. Prior to joining Daniel, Mrs. Robinson held multiple positions with General Growth Properties at the Riverchase Galleria, a two-level, 1,570,000 square foot enclosed mall. Prior to working with GGP, Mrs. Robinson held an Assistant Marketing Director position with Aronov Realty Management, Inc.
Mrs. Robinson attended The University of Alabama in Tuscaloosa and graduated with a Bachelor of Science degree in Retail Merchandising and a minor in Marketing. Jamie holds a real estate license with the state of Alabama. Mrs. Robinson has been an active member with the American Marketing Association, the International Council of Shopping Centers and held a Junior Board Member position with Camp Smile-A-Mile from 2007 to 2011. Jamie enjoys spending time with her two children and is active in her church, Bluff Park United Methodist.